Hiking is great for kids, it develops lots of skills and abilities, it teaches them how nature works and how they should behave in a group. If you want to take maximum advantage of all these lessons and fun you can have, you need to pick the right spot. When a hike becomes too difficult, too easy or too boring for your kids, you might see your plans shattered forever. Located on Whidbey Island, Deception Pass State Park has a lot to offer in terms of scenery and adventure. One of the trails you can try with your kids is the roundtrip to Goose Rock. Children can have a quick swim before the trip seeing as your journey starts near the beach, on the western shore of Cranberry Lake. You’ll follow the North Beach Trail which gives you the chance to teach children a thing or two about the Great Depression since you’ll cross a beautifully engineered bridge from the 1930s. The trail is amazing, you’ll see many wildflowers and lush green vegetation, you can admire Mount Baker and Cornet Bay, finding your way through grassy areas. The vegetation includes wild currant and Madrone trees that are really old. If you go there during the autumn, you can even taste some of their wild berries. You can also see remnants of the last ice age that has sculpted the landscape at the place called The Balds. There are meadows here with mosses as well as other plants, and once you’ve admired all of them you can continue your way up to Goose Rock, where you’ll have an awesome view of the surroundings. This is a great location that can be visited throughout the year. The place is near the ocean and the weather is generally very pleasant. Your kids will fall in love with the waves hitting the shore, and even the storms can offer great opportunities to learn more about the local weather. However, it’s best to teach the kids how to waterproof boots, if they’re going to be chasing the waves. 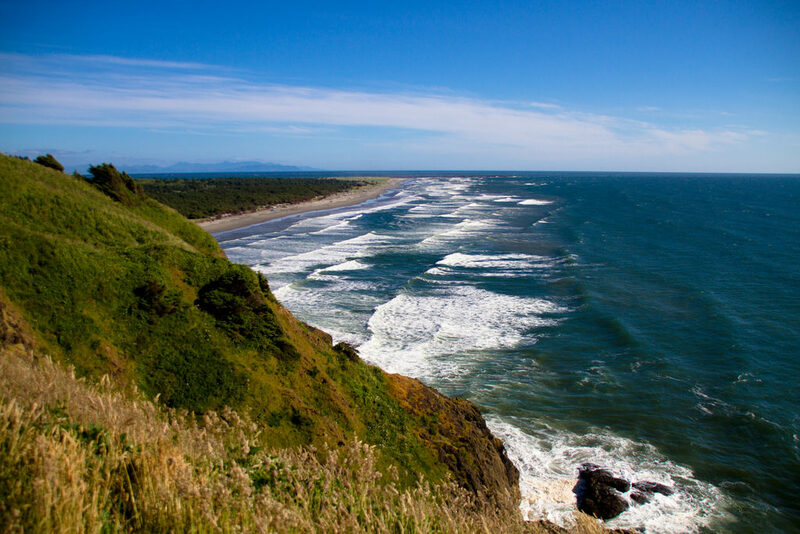 A cool hike for you and them is that to Cape Disappointment. You’ll start at the North Head Lighthouse, where there’s a quick and interesting guided tour. The most amazing thing about the place is that it was all covered by the ocean, but building the dam is how the campsite was erected. After that, you can hike to the Lewis and Clark Interpretive Center. You can tell kids the story of Captains Vancouver and Gray analyzing the layout of Columbia River and how they didn’t sail it in the end. That’s why you’re now climbing up to Cape Disappointment instead of Cape Content. The trail itself can be tackled either by foot or by car, but it encompasses terrific views well worth it. This National Park has plenty to offer both kids and adults. For instance, the Giant Logs Trail is an awesome hike for the whole family where you’ll be in awe at all the huge trees you can see. The biggest of them all, Old Faithful, has a length of 170 feet and a diameter of 9 feet. You can admire its growth rings and teach children how you can measure the age of trees using these growth rings. There are also lots of programs and events you can take part in with your children. Most of them relate to fossils and their importance to us from an evolutionary standpoint. Some of these fossils are actually from the Triassic Period, there’s a paleontology lab and you can see scientists at work if you’re going on a guided tour. Besides, the Petrified Forest is another great place to visit. This can take you as far back as 200 million years ago, and your kids can learn all about dinosaurs and how the landscape looked then. You can also hike to Crystal Ridge where there are plenty of archaeological artifacts, sites, and pueblos to admire. There’s lots of fun to be had here too, this is a wonderful seashore park. The island between Maryland and Virginia is home to herds of wild horses and your kids will enjoy seeing them run free. But there are plenty of other activities and guided programs that you can take advantage of during your stay. One of these things is camping. You can stay on the beach and enjoy the sun, maybe even squeeze in a swim. The Ranger Programs are amazing since they teach you all about the barrier island landscape, or you can take wildlife photographs. But show your kids how to make a paracord neck lanyard so they can carry their cameras more at hand. Apart from that, your kids can enjoy exploring the environment on a bike, you can try a little family canoeing or kayaking, and of course, there’s the awesome horseback riding. 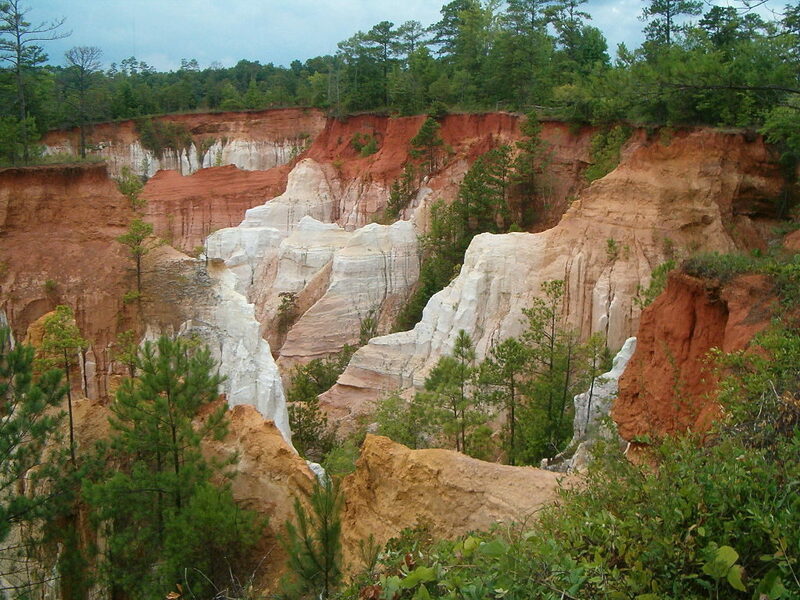 Also known as the Little Grand Canyon, the whole trip is about 5 miles and of a moderate intensity. There are sandstone canyons here with abrupt walls and of different colors, and the trails themselves are sandy. That might make them more difficult to tackle, but they offer stunning views. These walls meander their way around the canyon floor and you have miles and miles of trails you can do. The array of nuances from white and pink to intense orange and purple is a great chance for you to explain to kids how this landscape came to life. The Canyon Loop Trail is one of the hikes you can do with your kids because it offers diverse landforms. Walking through a dark forest and a sandy riverbed, there are many sinuous canyons you can explore made out of fragile, crumbly sandstones. With so many wonderful places to visit, we’re curious where you’ll be setting off to next. What great location will you choose and why? Let us know in the comments.